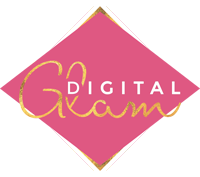 Information that you provide by filling in forms on our site digitalglam.co (our site). This includes information provided at the time of registering to use our site, subscribing to our service, posting material or requesting further services. We may also ask you for information when you enter a competition or promotion sponsored by us and when you report a problem with our site. Information that you disclose to us on any pre-consultation questionnaire, during any consultation with us, and at regular reviews during any period of consultation you undertake with us, that may include information relating to medical conditions that you have and or treatment that you are receiving with respect to such medical conditions as is necessary for the proper and safe performance of our Services to you. All information you provide to us through the website is stored on secure servers. Any payment transactions will be encrypted. Where we have given you (or where you have chosen) a password which enables you to access certain parts of our website, you are responsible for keeping this password confidential. We ask you not to share a password with anyone. All information you provide to us other than through the website (including but not limited to manual booking forms, questionnaires, and health assessments) will be stored on local PC and or a portable device held at our trading premises. All devices are password protected and the trading premises are secured when no personnel are on the premises. Where files contain sensitive personal data (e.g. medical information), these files are individually password protected. We may also use your data to provide you with information about goods and services which may be of interest to you and we may contact you about these by post or telephone. We will not pass on your information to third parties for the provision of or marketing of goods and services without your prior written consent. If you are an existing customer, we will only contact you by electronic means (e-mail or SMS) with information about goods and services similar to those which were the subject of a previous sale to you. If you are a new customer, we will contact you by electronic means only if you have consented to this. We use strictly necessary and analytical/performance cookies on our site. Please note that our website includes links to third-party web sites such as Facebook, Twitter and LinkedIn. When you follow a link from our website to another website, cookies may be set. We have no control over cookies used by any such third party website. Each of these sites will have their own privacy and cookie policies and we urge you to review these. We cannot take any responsibility for the contents or behaviour or third-party sites. You can change your privacy settings so that certain cookies are disabled. Specifically, you can update your settings with respect to our use of Google analytics and your use of social media buttons on our website (e.g. “Like” or “Tweet”) through our privacy settings tab. Please note that any change in settings may affect your ability to use certain features of our site. You may also block cookies by activating the setting on your browser that allows you to refuse the setting of all or some cookies. However, if you use your browser settings to block all cookies (including essential cookies) you may not be able to access all or parts of our website.